As part of my continuing quest to publish, I entered the Thinkerbeat Shorty contest. 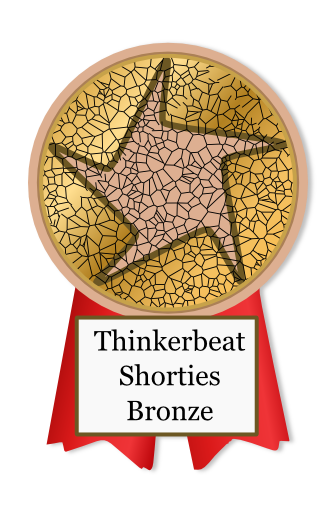 And I snagged a bronze in the March Shorty Competition, which is certainly helpful for my writer’s ego. In addition, I had a great online conversation with one of the judges afterward about the results. – what do you know? My immediate response was incredulity. A car door slamming? This list brought home to me just how jaded judges get. And that’s not meant as criticism–I can completely see it happening. If I read through thirty stories and half of them had slamming doors in them, I’d get tired of the phrase, too. Christopher Fielden has other tips for your reading pleasure on his site that I highly recommend you check. They’re well worth the read. 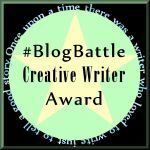 The upshot is that writers need to be exceptionally careful to avoid common turns of phrase–especially if they’re submitting short stories to contests and online magazines. Clichés aren’t only a concern when it comes to line editing. Writers also need to be careful of their characters, plots, and settings. I found an excellent list of fantasy clichés on Silver Blade’s website, and I was stunned by how many elements are included. This is only a partial list–for the complete version, go check out their site which also includes characters and plots. My first thought was that avoiding all these is going to make it extremely difficult to write a fantasy story at all. I mean, no dwarves? Eek. But it’s important to be aware that judges read these elements over and over again, so you definitely don’t want to submit a story containing too many of them. The settings/world elements list was the most surprising to me, so I’ve included it here. Someone has a cute pet. Lots of apostrophes in fantasy languages without good linguistic reasons. Fantasy names beginning with X, Z, G, K, or any other hard consonant. Fantasy names/words with a lack of vowels. Fantasy names with too many vowels. Names that are too suggestive of a character’s personality, i.e. someone named Cipher is an enigma. Person sacrifices life to save others, but is resurrected later. Evil villain is physically scarred in some way. Evil villain must always kill at least one henchman no matter how loyal he is. Slightest infraction/failure is punished by death. Big dark castle/tower/fortress/keep, usually impenetrable except for the secret passage only the hero’s guide knows about. Fight breaks out in a bar. Innocent people rescued from nasty death/fate worse than death just in the nick of time. Secret passages are never booby-trapped. Sidekicks/flunkies who are mindlessly loyal/devoted. Deformed man with a heart of gold/Handsome villain with a heart of darkest evil. Fantasy societies based off of the Celts or Norsemen. Fantasy empires based off the Romans. Warrior cultures based off of the Samurai or Spartans. Elves, orcs, dwarves, trolls, dragons, unicorns and any other race that has appeared in Dungeons and Dragons. Large-breasted Amazons in tiny brassiers who have no trouble keeping their clothes on, let alone their balance. Pseudo-medieval societies with 1990s liberal sensibilities about things like womens’ rights and homosexuality. Hero’s culture has no brothels, no bars and everyone smokes a pipe but nothing stronger. Black magic vs. White magic. Magic systems that follow laws too much like modern physics. Magic systems that follow no discernable rules at all. Magic systems that change when its plot-convenient. Human/animal psychic bonds, especially with dogs/wolves/cats/horses/dragons/etc. Characters speaking in 1990s flavored English. Churches based on the medieval Catholic Church but that have a history totally unlike the Catholic Church. Everybody in the world worships the same god/pantheon of gods. Everybody in the world speaks the same language. City dwellers are automatically corrupt and weak. Female warriors who’ll only surrender to a man if he defeats them in battle. Cities in the middle of the desert with no water or food supply that somehow survive. Women as prizes/booty for barbarian (or even civilized) heroes. Societies where no one seems to do anything but adventure. True feudal societies where the king holds absolute power. Shops called Adventurers’ Supply or the like. Village taverns, especially those populated with saucy tavern wenches. Worlds that read as though they were created by a really bad Dungeon Master. Swords that shoot lightning, glow, etc. Fur loincloths and chainmail bikinis in winter. Worlds where morals are strictly black and white. Societies where the morals are exactly the same as ours. Boy slaves get released after 5-7 years of service; girl slaves do not. Worlds where the nobility are all corrupt and/or perverted. City neighborhoods where you can get anything anytime for any amount of money. Healing potions work instantly, so death is never a real threat. Zombies, vampires, werewolves, shape-changers, etc. Vampires as tragic, romantic figures. Vampires/werewolves/the fey exist among modern humans without detection despite there being a whole lot of them. Pantheons based directly off of Greek, Norse or Egyptian religions. Worlds where the fairies are always good and the witches are always evil. 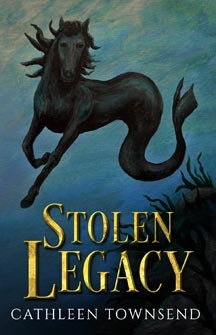 Fantasy worlds populated entirely by sentient animals. Worlds where all the humans look alike, regardless of geographic location. Animals who raise human children. Magic users/psionics harassed and persecuted for their powers. Horses treated like cars with legs. Men and women have different sets of psychic/magic powers. Brutality is excused so long as the good guys are the ones doing it. Thieves having organized guilds and public meeting places that are known to the general populace. Medieval cities with immaculate streets. Grid-pattern streets in medieval cities. Magic shops that appear and disappear at whim. No drug except alcohol exists in the world. People running around after dark without lanterns and not falling down or getting hurt, especially in wooded areas. Elaborate tests to determine if a woman is a virgin, no such test for men. Heroines who always remain pure no matter what, even if all the other women around them are defiled. The language has been the same for the last 10,000 years; there is only one Olde Language and no intermediate languages. Societies with no discernable economic structure. Now if you’re writing a story for your blog or to be included in a self-published collection, you’ve got more latitude. General readers don’t have to wade through slush piles, so we aren’t likely to be so weary of these elements, although I think it’s best to exercise caution. If you’ve got a story laced with tropes that you really believe in, I’d say write it anyway. Sometimes you have to write the tale that’s inside you. But I believe an awareness that these elements are seen as overused might lead to writing stories that have a better chance of being accepted, if your goal for that tale is trade publication. What the heck are you supposed to write about. That is a very long list. I didn’t see Guinea Pigs on the list, or does that fall under cute pets. I like the “no bathrooms” does that mean bathrooms should be discussed? Based on that list, it sounds like it is going to be a tricky process. Good luck!!! Wow, this is really so helpful! Thanks! haha one heck of a list. Although cliches are generally redundant and can nearly always be subbed, there’ still a time and place for them sometimes, because realistically people say them daily. In dialogue I don’t mind them if they fit. 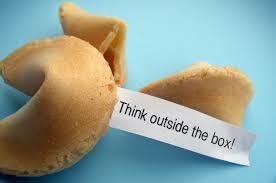 Descriptively, there’s always another way. You make a really good point in this article. I would say you hit the nail on the head…ouch! Thanks, Daniel. It’s a challenge, that’s for certain. And like I said, it’s going to be hard to write novels that have none of these elements at all. Congrats on the award, Cathleen! 🙂 This is great info, too. This certainly speaks to the concept of “know your audience”. A judge, like a writer, may have a pickier palette, but I imagine many readers seek out stories specifically because they contain some of these cliches, and forgive the rest. Conventions like “everyone speaks the same language” or using the classic races of elves/dwarves/etc, or the classic monsters of vampire/werewolf/zombie allow audiences to jump right into the story without cumbersome explanations. In my mind there’s the old adage that there’s a reason why certain things become cliche, they work and a sizable portion of the public likes them. I also to agree with LionAroundWriting; if you have a good reason for using a cliche, or if you make it your own, then there’s no need to cut it. I think it’s good to question, but at the end of the day there are few absolutes when it comes to storytelling. Yeah, the audience matters a great deal. I definitely give myself more latitude when I’m writing for my blog or a self-pubbed collection than when I write to submit. Fair enough. Though with such an extensive list I imagine it won’t be long until everything not on this list becomes “the new cliche”, while these are “cliche classic”. I hear you. I think it’s important not to let stuff like this paralyze you. Write the story inside you. Is the story good when you’re done? Polish it and put it out there. Repeat. I really think that’s all we can do.